An expansion of Chicago’s Burnham Park into Lake Michigan is planned to provide Shoreline Protection. Bauer Latoza Studio designed an innovative natural area capitalizing on the unique shallow bedrock, known as the “Morgan Shoal”, located within the expanded park. The design provides an ecological approach providing animal and plant habitats, wetlands and soft shoreline edges, environmental educational opportunities, passive and active recreational areas and improved park access. Bauer Latoza Studio investigated retail, institutional and industrial sites to assess their environmental performance under the Chicago Landscape Ordinance and Guidelines. Our report’s findings regarding ecological impacts of landscape and site design will be used to update the Guidelines for Chicago buildings, landscapes, and paved surfaces to improve the quality of our natural resources. Bauer Latoza Studio designed a two-part pedestrian plaza linking a convenient drop-off area on one side of the state-of-the-art high school, to a gathering area at the other end leading to new recreational playing fields near the river-walk pedestrian and bike path. 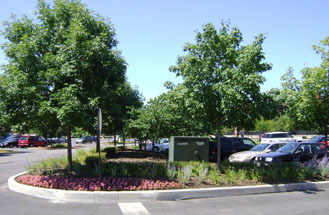 Landscaped planting areas and ergonomic parking lots rounded out the Chicago Landscape Ordinance- and River Corridor Design Guidelines-compliant design. Bauer Latoza Studio’s plan for this four-block park-set residential development establishes a neighborhood character, encouraging pedestrian movement along tree-lined streets, while also preserving eastern vistas of Lake Michigan. 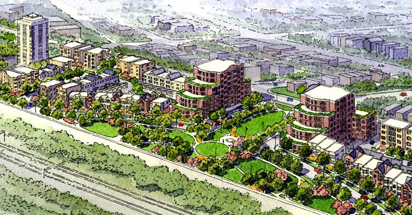 Our Landscape Master Plan included streetscape, landscape design for the buildings and common spaces and, a concept design for the community park as a centerpiece of the development. 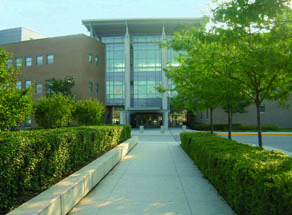 Chicago Public Schools and the Chicago Park District collaborated to combine school property with adjacent parkland, creating “campus parks” to provide recreational facilities, plazas, and open space for students and neighborhood residents alike. 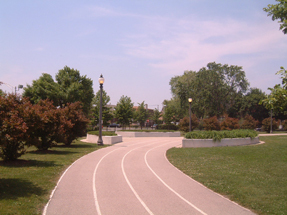 Bauer Latoza Studio designed 4 campus park facilities with features including running tracks, playlots and gathering spaces.